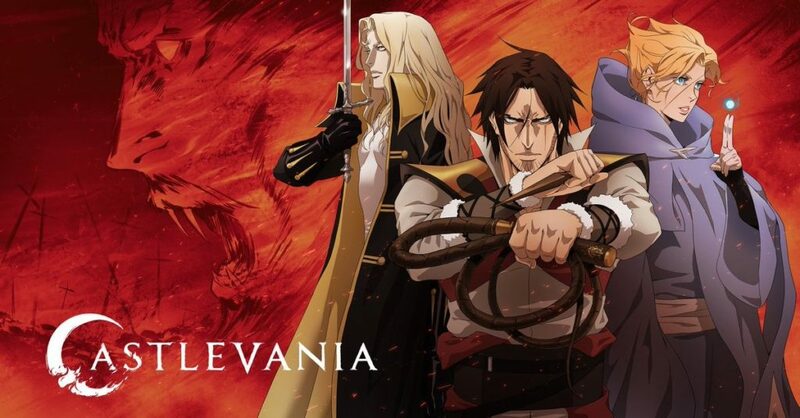 I had no intention of watching Castlevania on Netflix (I have a strictly light 1-show at a time diet), when I saw a tweet from all-time great comic book writer Warren Ellis announcing his involvement writing and producing the recently released season two of Castlevania. While I don’t have time for a new animated show in my life, I always have time for literally any story from the mind of Warren Ellis. Ellis is a long time comics scribe with entries inside my top 100 favorite comics of all time such as Transmetropolitan and Planetary (among Marvel greats such as NEXTWAVE ). Perhaps more to the point, Ellis is in the rare class of comics writers whom I’ve followed to prose (see also: Rucka, Greg; Moore, Alan; Morrison, Grant), with highly enjoyable novels like Gun Machine . Long story short, Ellis’ involvement, and the general timeliness of a Dracula show near Halloween, made Castlevania must-see TV. Add to all that a a first season with a scant four episodes at 25 minutes a pop, and you have one of the most appealing possible entries in the entire Netflix catalog. As a whole, Castlevania is familiar but well-executed monster-fighting in the medieval 1400’s. The narrative begins with the lone episode truly focused on Dracula, as the most famous vampire of all time finds love and considers a peaceful path before the Church murders his wife and sends Dracula on the path of vengeance. The remaining three episodes pick up 100 years later as Dracula’s armies of demon hordes set out to wipe Wallachia, the offending village responsible for his wife’s murder, off the face of the earth. Throughout it all, Ellis’ dialogue shines, particularly when coming through the lens of grouchy, haggard, once-proud Trevor Belmont, of the House of Belmont, notorious family of monster hunters. Belmont brings to mind Wolverine (not least of which because Richard Armitage voices both characters in various mediums, playing Wolverine in The Long Night podcast earlier in 2018) at his most begrudgingly helpful. All in all, the happenstance tweet was a welcome belated surprise, and offers some recommended comics-adjacent viewing. Trend: Too Pricey, Too Weekly Comic Books! There’s an inherent appeal in a new #1 issue of a comic book. In theory, the first issue of a series (whether or not it’s the fifth “first” issue in that self-same series’ history) promises a new beginning and an open door for interested readers. For a series with the pedigree of Marvel’s Uncanny X-Men, this is even truer, as Uncanny X-Men #1 simply holds historical weight and value. The casual fan interested in collecting all 10 announced issues (plus a scheduled annual) will spend $50 over the course of 11 weeks. There are arguments to be made from these strategies in isolation (for example, DC’s 52 forever set the gold standard of the potential of this release calendar). Nonetheless, in aggregate the approach reeks of Marvel’s desperation to play to the collector’s desires and inflate their own market share, without any real concern for inviting in readers. As part of Marvel’s purported “Fresh Start,” this is particularly ironic. Now, this doesn’t mean the assembled X-brain trust isn’t concerned with a welcoming narrative. The writing team of Kelly Thompson, Matthew Rosenberg, and Ed Brisson have written some of my favorite comics over the past two years, and particularly excited to see the artistic contributions of Mahmud Asrar and Pere Perez. Still, the negative headline of an aspiring column here could easily be “Marvel doesn’t care about new readers.” The addendum that makes the statement more interesting to me is whether Marvel should really care as it pertains to single issues of comics. Then consider the relative ease of digital downloads, trades, Marvel Unlimited, or even more taboo to talk about: the preposterous ease of just searching for the comic’s name and finding a free pirated scan. I’ve said for a while now that the practice of purchasing weekly comics defies logic. It costs more, it’s less efficient, it creates storage challenges, it’s not how most fans actually read stories, and it’s time-consuming. And yet, I still head to my LCS every week, and clearly I’m not alone. 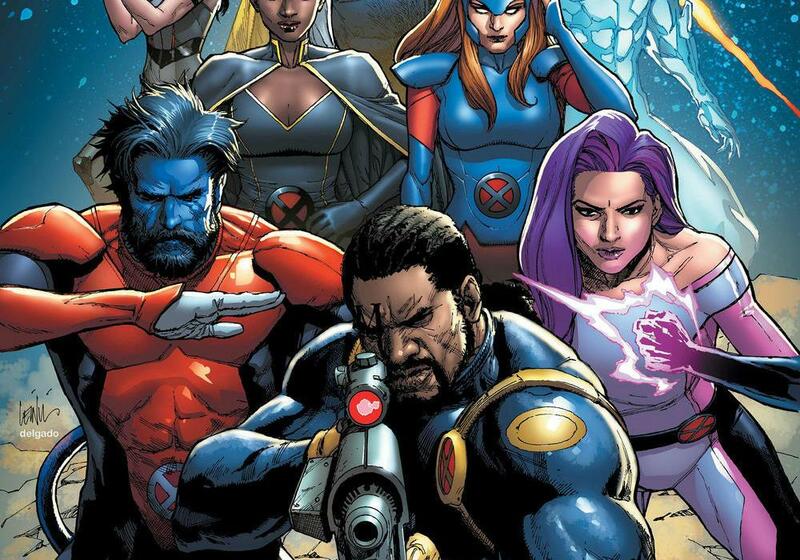 That’s who Marvel is targeting in part, along with the more scandalous speculative market. The reality here is that if Marvel actually wanted X-Men fans to jump into this series with fresh eyes, they’d release an oversized #1 issue for $0.25 a la DC Nation #0 earlier in the year. That’s not their goal, though, leaving the exciting content of this first issue relegated to Marvel Unlimited waiting for all but the most diehard fans. Off Panel is one of my favorite comic book podcasts, and this past week highlighted a big reason why. Host David Harper welcomed comics shop owner Brian Hibbs to the show, and Hibbs proceeded to illuminate the many challenges of the modern comics retailer and the direct market as a whole. I’ve learned a lot about the “inside baseball” of selling comics from Off Panel and similar retailer conversations. Hibbs stands out as one of the most engaging personalities in the LCS scene, with a fearless approach to critiquing Marvel and DC for slights toward their business partners. If you’ve never listened to Off Panel, and have a curiosity about trends in the comics marketplace today, I highly recommend giving the podcast a chance. Not surprised that Marvel has started testing how much the comixfan will pay. They are, after all, owned by Disney. They’ve been using this tactic for quite awhile. I have been a LOOOOONG time Marvel reader , X-Men in particular, but I’m not planning on following them when they go to #1 !!!! I’m truly over their BS for gouging the regular Joe out of our hard earned money ! DC is the way to go and I’m headed that way !! I’ll certainly be waiting for Unlimited!